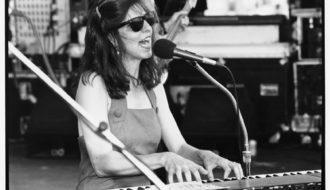 Marcia Ball, a blues and swamp-rock pianist and singer, grew-up in the small town of Vinton. 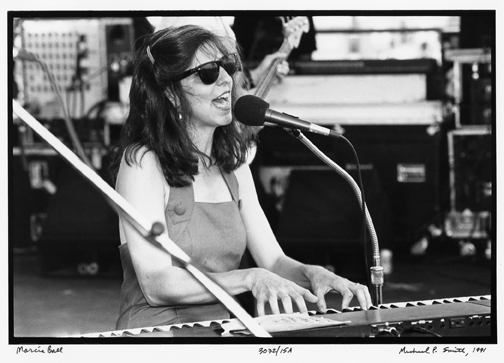 Marcia Ball is a blues/boogie piano player and singer from the Texas/Louisiana border. Born in Orange, Texas, on March 20, 1949, Ball grew up across the state line in Vinton, Louisiana. She started playing piano at age five, learning at home from both her grandmother and aunt and from a teacher. Growing up, she heard New Orleans rhythm and blues artists such as Professor Longhair, Fats Domino, and Irma Thomas, and these artists have influenced her ever since. Ball first formed a country band in Austin called Freda and the Firedogs. When it broke up, she released one solo album, Circuit Queen, on Capitol Records in 1978, and then signed to Rounder Records, where she recorded Soulful Dress (1984), Hot Tamale Baby (1985), Gatorrhythms (1989), Blue House (1994), and Let Me Play with Your Poodle (1997). She also recorded two albums of duets with other singers: Dreams Come True (1990) with Angela Strehli and Lou Ann Barton on the Antone’s label, and Sing It! (1998) with Irma Thomas—whom Ball credits as her chief vocal inspiration—and Tracy Nelson on the Rounder label. In addition to her distinctive piano style, including elements of New Orleans rhythm and blues, zydeco, and Gulf Coast blues, Ball writes most of her recorded material. In 2003 the New York Times wrote, “Marcia Ball plays two-fisted New Orleans barrelhouse piano and sings in a husky, knowing voice about all the trouble men and women can get into on the way to a good time.” In 2000 she moved to Alligator Records, releasing So Many Rivers (2003), Down the Road (2005), Peace, Love, and BBQ (2008), and Roadside Attractions (2011). 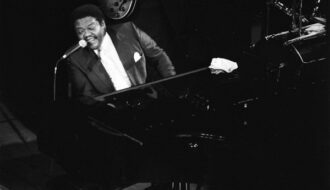 Her mix of Louisiana swamp pop, Texas stomp, and Cajun accents has garnered fans all over the globe, several Grammy nominations, and eight W. C. Handy Blues Awards for both her albums and her piano playing. The Austin Music Hall of Fame inducted her in 1990, and Ball earned her place in the Louisiana Music Hall of Fame in 2012. She continues to tour around the world and to play festivals across the United States, including the New Orleans Jazz and Heritage Festival, the King Biscuit Blues Festival, The Long Beach Blues Festival, the Austin City Limits Music Festival, The Chicago Blues Festival, and the Crescent Blues and BBQ Fest. She has also appeared in the documentaries New Orleans Music in Exile (2006) and Martin Scorsese’s The Blues (2003); the HBO television series Treme (2012); and the holiday movie Angels Sing (2012), which also starred Harry Connick Jr., Willie Nelson, and Connie Britton. Kunian, David "Marcia Ball." In https://64parishes.org Encyclopedia of Louisiana, edited by David Johnson. Louisiana Endowment for the Humanities, 2010–. 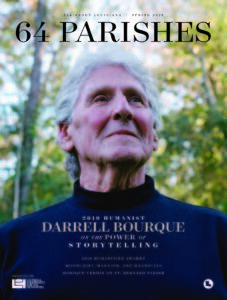 Article published December 28, 2014. https://64parishes.org/entry/marcia-ball.